Casa Velha do Palheiro is a 5 star Spa & Golf Resort located on Madeira Island, set high above Funchal, situated in the old Palheiro Gardens. Casa Velha do Palheiro consists of 3 buildings with comfortable and individually decorated guest rooms. A luxury boutique property – a Relais & Châteaux establishment it provides 32 rooms and five suites, each one singular in style and personality, fitted with chic, elegant furnishings and cable TV. And the neighbouring Palheiro Golf – a superb 18-hole, par 72 Championship layout – offers privileged access to guests staying at this noble and historic Madeira Island Hotel. The Palheiro Spa, nestling in woodland a short walk from reception, features a veritable array of treatments and beauty therapies. Guests can relax with a variety of massage treatments , sauna and a Turkish bath , heated indoor and outdoor swimming pool facilities, an all-weather tennis court . Casa Velha do Palheiro is the ideal hotel for the visiting golfer. As the only hotel in Madeira located in the middle of a golf course, the Casa Velha is able to offer various favourable packages. 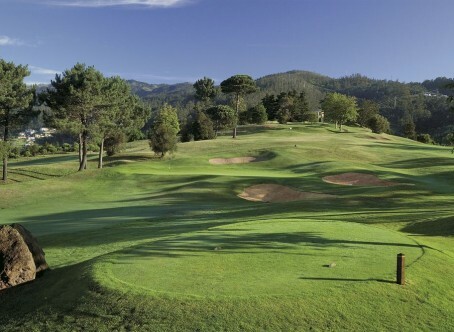 * Palheiro Golf Course Facilities – Less than 500 metres from the Casa Velha with complimentary shuttle service. Travel Point is a Bulgarian Specialist in corporate event management, weddings, private tours and innovative solutions We can develop and execute events that are both memorable and image enhancing. Benefit from a Event to re-establish team spirit, build assurance and loyalty, celebrate an important day of your life, celebrate achievements and improve performance. Travel Point creates, produces and delivers private trips and events with an innovative effectiveness, creative unique ideas and performance to satisfy your requirements and expectations to the maximum.